An excellent, inexpensive spiral manuscript book. 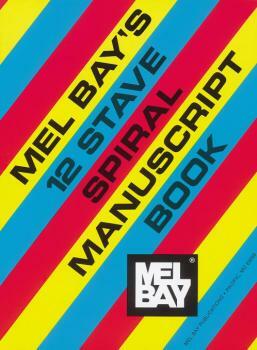 Twenty-four sheets printed both sides in black ink on white, regular-weight paper and deluxe vinyl-covered spiral binding enhance the value of this student manuscript book. Some information on key signatures, major and minor scales, and the cycle of keys is also included.